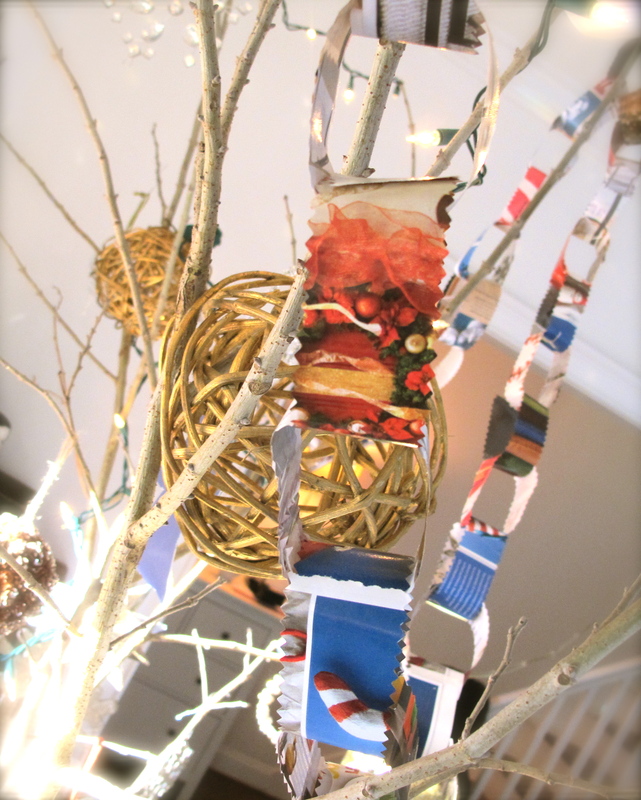 No, these are not some new fangled Christmas ornament! They are “Hachiya Persimmons” & although they are certainly pretty enough to be Holiday ornaments, I have another plan for them. 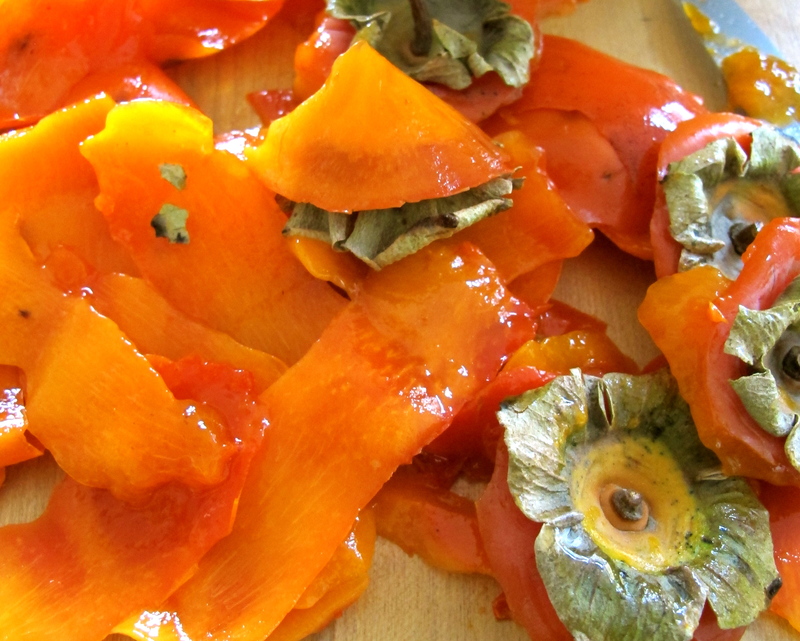 When I was a young girl I loved the persimmon fruit from a tree that grew wild at the edge of our yard. It was gangly, never-pruned, pretty much ignored tree that went unnoticed all year until sometime in mid-December when the persimmons would begin to ripen taking on a soft yellowy custard color. The fruit very lush, short-lived and much appreciated. I do not remember Mother ever using them in recipes. We just ate them off the tree like apples. The “Hachiya” persimmons that have been in the markets lately are not local nor are they the type that grows wild in the South. 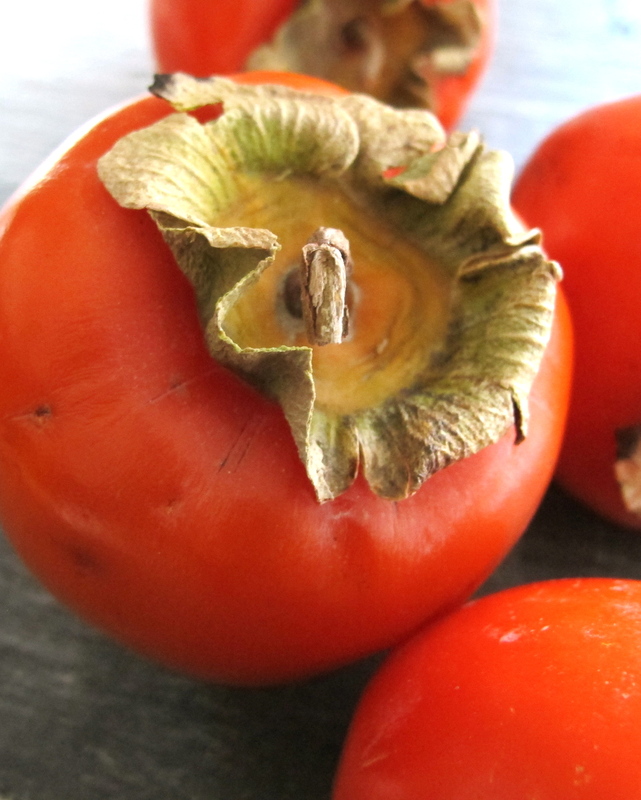 These persimmons are vibrant red-orange and are very hard, not ready to be eaten. Recently I purchased 5 of these for a photo shoot. We did not use them so I brought them home to ripen in a bowl on the kitchen counter. I got busy and forgot about them for a few days and during this time they ripened to perfection. Curiously I bit into one and was rewarded with an incredibly lusciousness. If I had to describe the flavor I would say it was somewhat like a very ripe mango or papaya or mamay crossed with a banana? 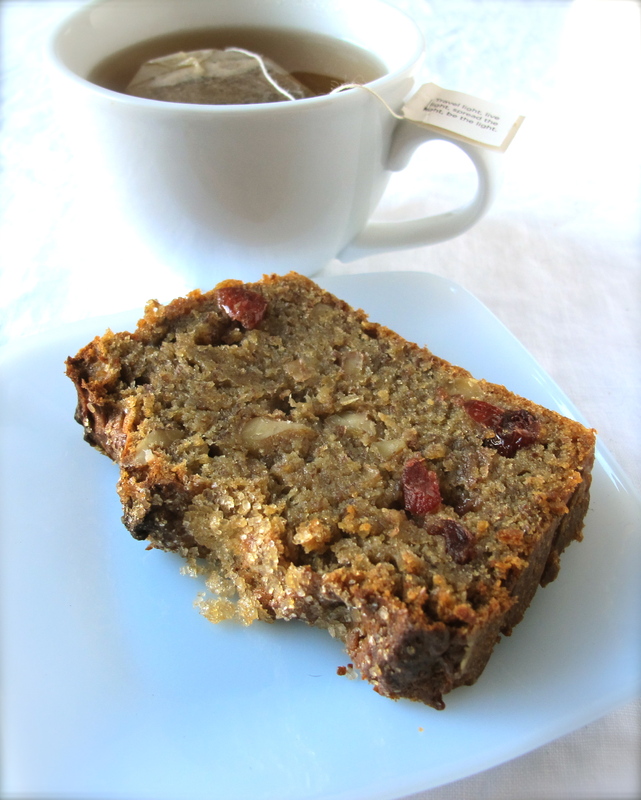 My tea bread version is adapted from a recipe in Tammy Algood’s mangum opus to Southern cooking, “The Complete Southern Cookbook”. 1. Preheat oven to 325 degrees. Lightly grease & flour a loaf pan. 2. 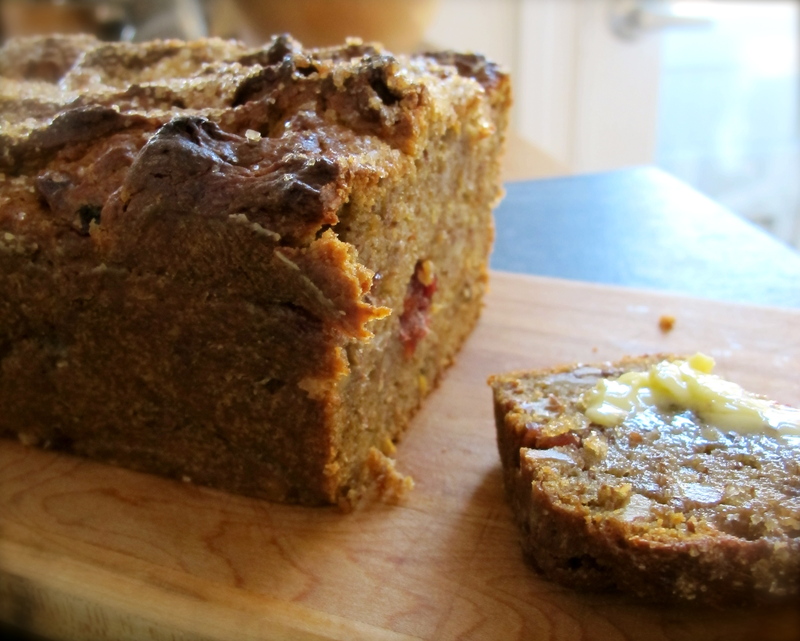 In a bowl combine the flour, ground flax seed, baking powder mixture with the walnuts & dried cranberries. Set aside. 3. 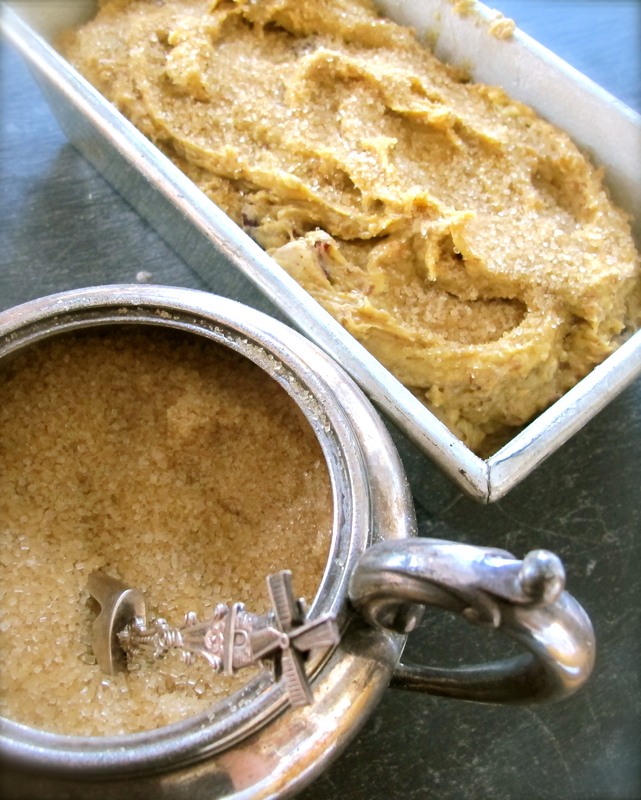 Using an electric mixer cream the butter & sorghum together. Add eggs one at a time beating well after each addition. 4. 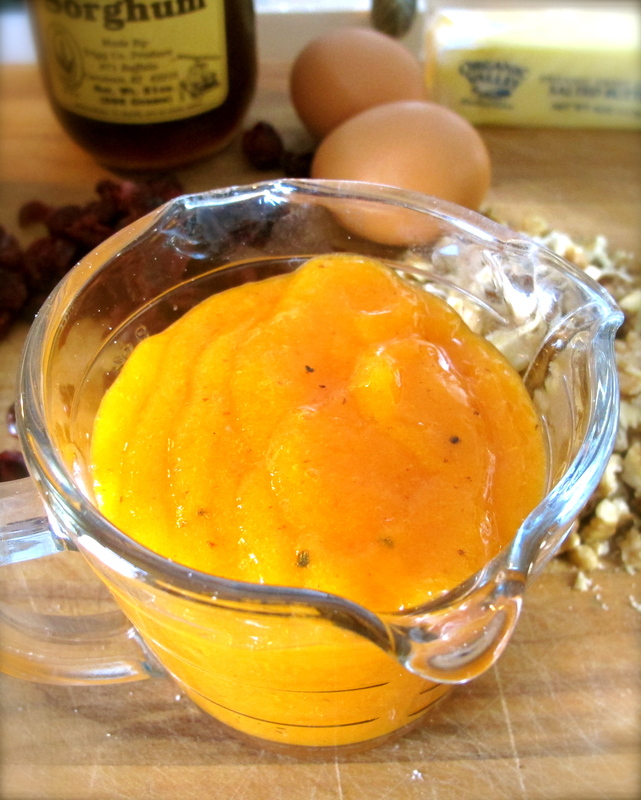 Stir in the persimmon pulp until well blended. 5. Add the egg-persimmon mixture to the flour mixture stirring just to combine. Scrape batter into the prepared pan. Sprinkle top with a 1/4 cup turbinado or raw sugar to add crunch. 6. Bake for about 1 hour or until the top is golden brown and a toothpick or skewer inserted into the middle of the bread comes out clean. Cool in pan on a wire rack for 10 minutes. Remove from pan and continue to cool on wire rack. 7. This bread is best served warm or toasted along side a cup of tea or hot milky coffee when you need to sit down, take a break and a deep breath and relax for a bit. Happy Holidays. 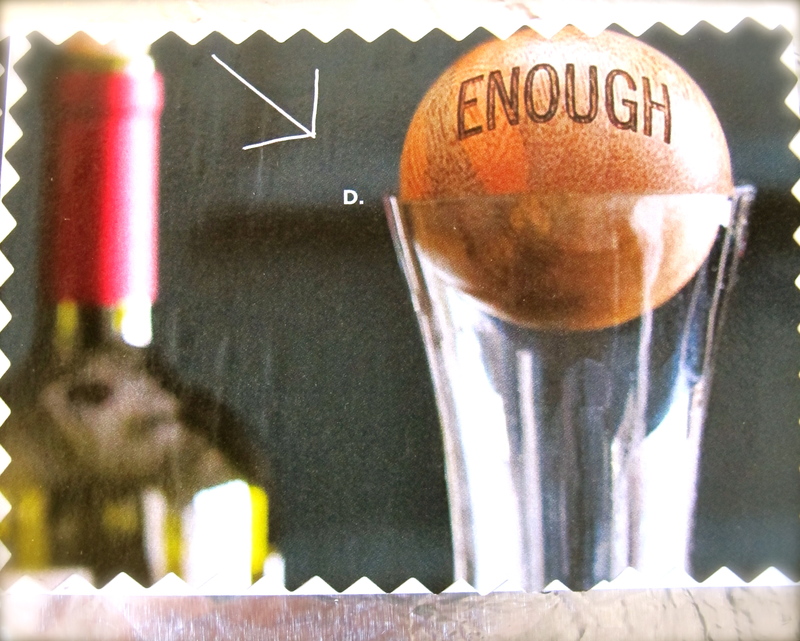 “Know when enough is enough!” homemade gift tag from recycled Holiday catalogs. 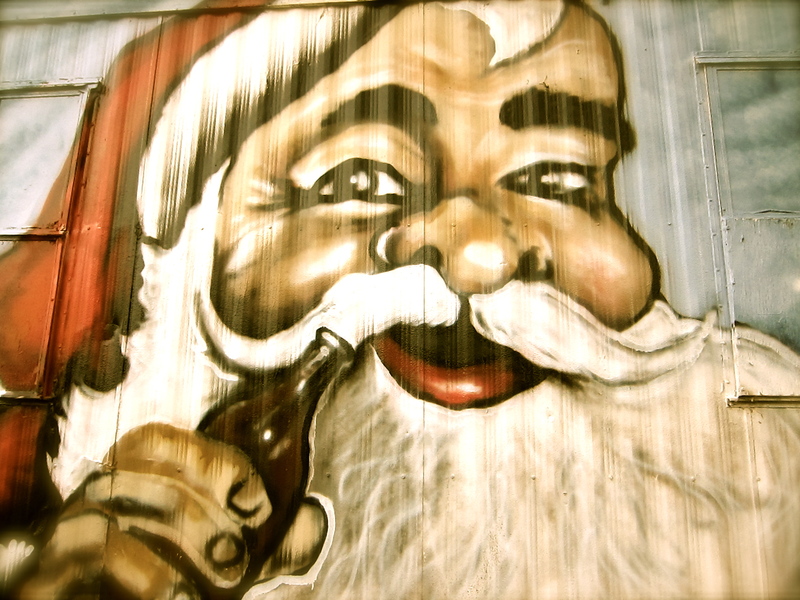 “Santa Claus with Beer” image from the Santa Pub, Nashville, TN…..don’t forget the cookies! Enjoy. Share. Keep it Light. Be Helpful…….. This is just beautiful. There are two persimmon trees in the woods behind our house, but we couldn’t reach the fruit and by the time it dropped it was already gone, Katherine was bummed. Wow, the bread looks great! 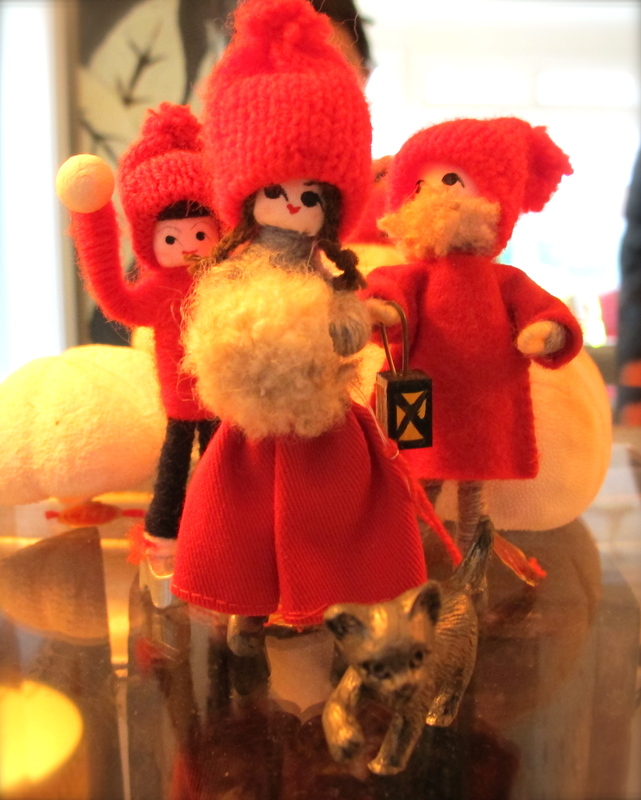 I also love the squirrel nutcracker and the Beer Santa! Persimmons are something I have never tried. The color is gorgeous. Merry Christmas. 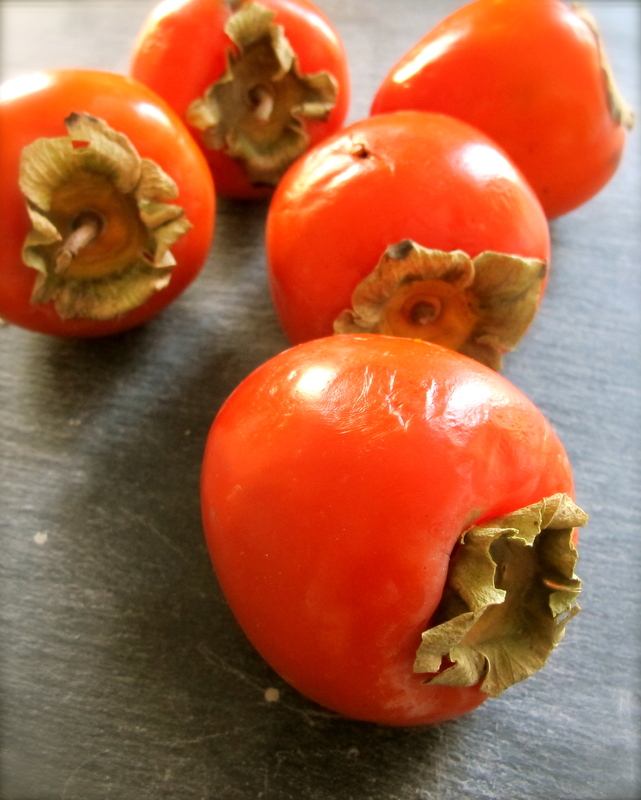 They are a hard fruit to ever try as most wild persimmon trees have fruit that ripens very quickly and is rotten by the time we get to it…a very small window of opportunity, so when these imports started showing up in the market I just had to try them. 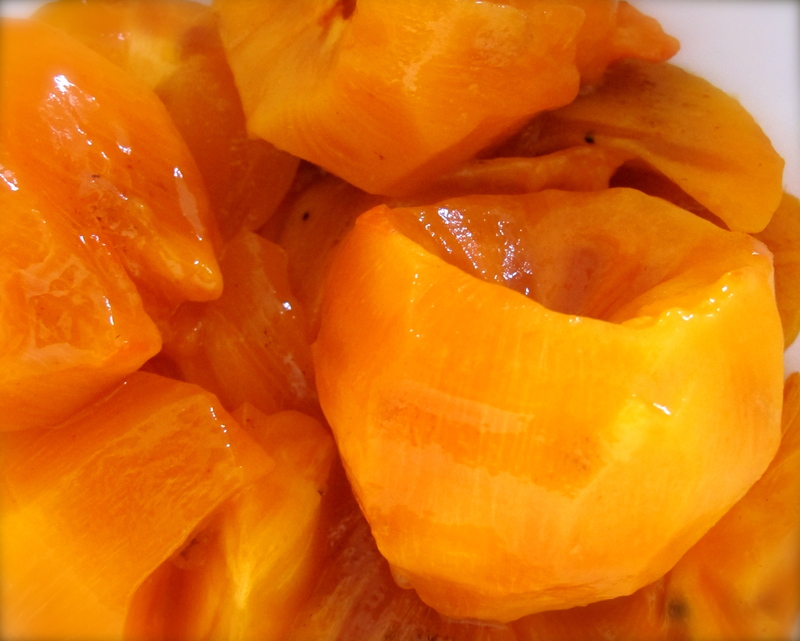 I was doubtful if they would ever ripen and taste like anything, but ripen they did and the taste…out of this world. I hope you can find some in your area to taste. Happy New Year. A new kind of fruit tree, one I would love to eat. 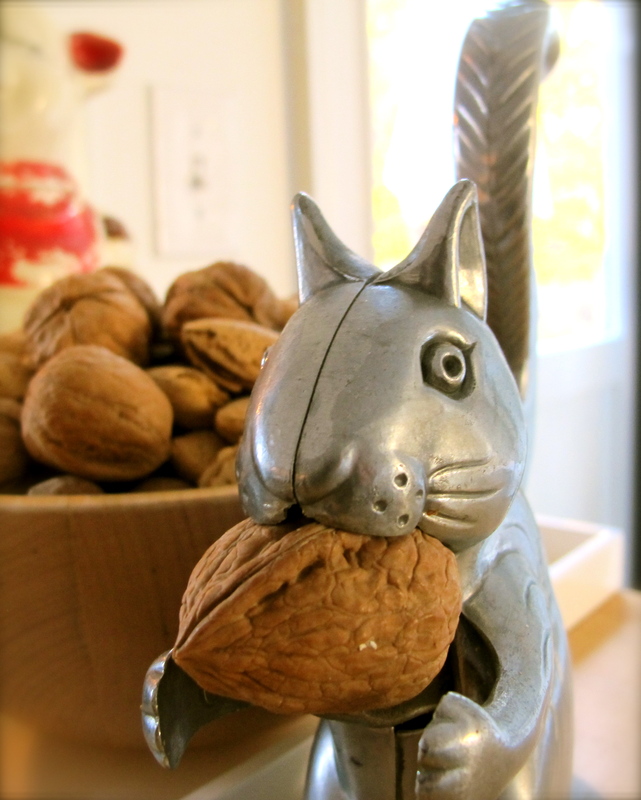 I love the squirrel nut cracker. Merry Christmas to you and a great year ahead. I meant to say fruit cake. It’s late and I got distracted by Santa on the roof top. 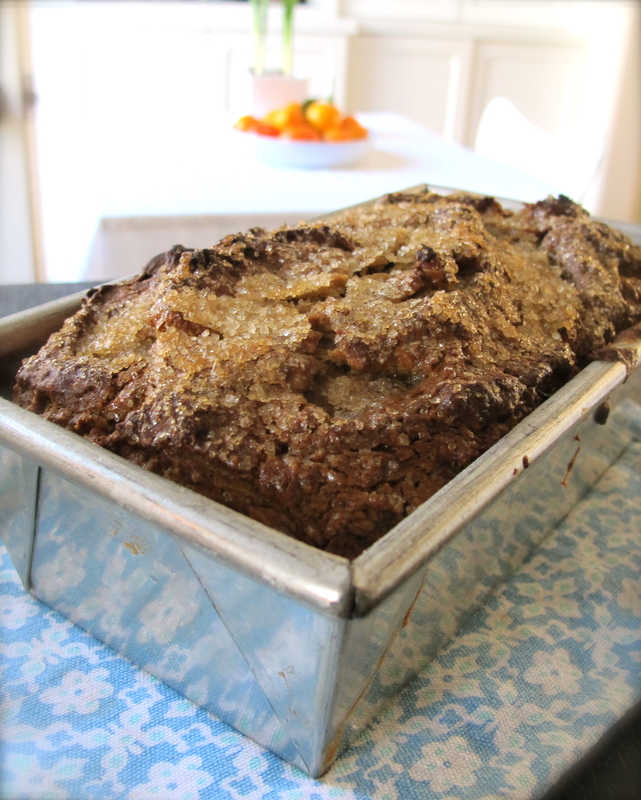 Jill, I did save a slice or two…I froze half of one loaf I made just for you and Candace to try next tasting…Happy New Year. 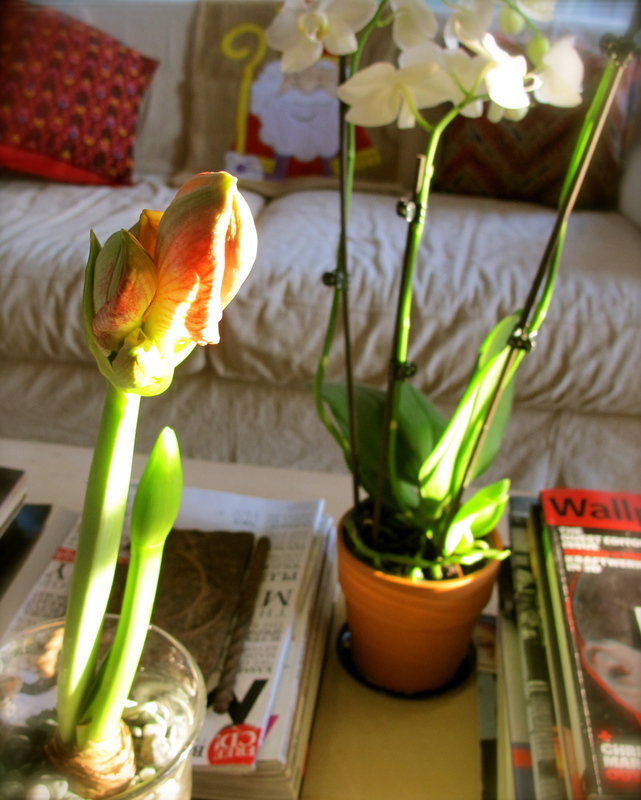 …and i adore the story about growing up with a tree right in your yard. it’s our memories around food that really make it special. thank you for sharing that with us. ps. squirrel nutcracker creeps me out. Yes I know what you mean about the squirrel nutcracker…it is obviously not alive, but somehow looks it….creepy fun! Happy New Year to you. Hi Terese–we have a persimmon tree in our backyard—very old, and extremely tall. (its bark is quite distinctive)The only way to get the fruits is after they fall–and hopefully don’t get damaged in the process. I have rarely foraged/gathered more than 4 good ones at a time. Yes…I have a bottle of V. chilling as we speak! See you soon. I’m excited to try this recipe. Hachiya Persimmons are local in the fall/winter here in southern CA, and I got a bagful from my neighbor. I usually just eat the ones I get at Farmers Market, but they are very messy by the time they are ripe enough to eat. I’m excited to try them in this recipe. Thanks! 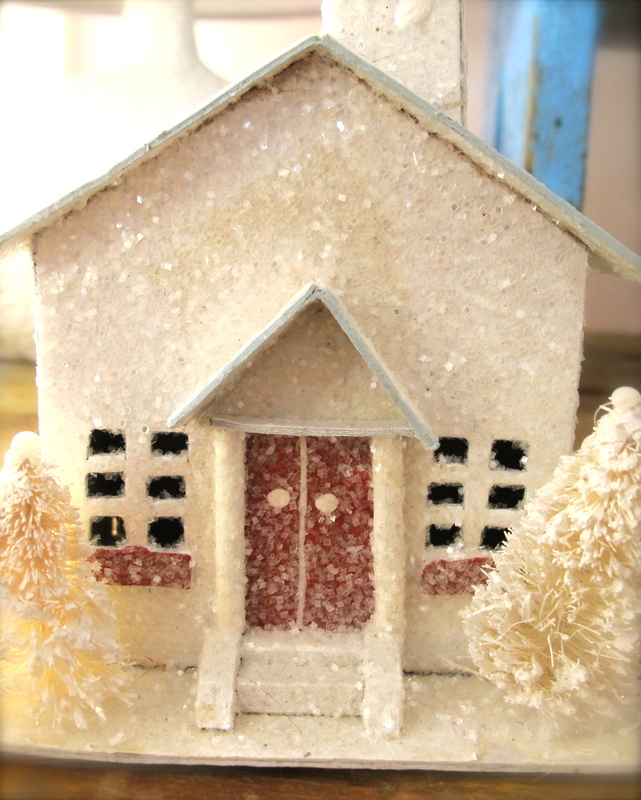 I loved reading your blog and seeing the pictures, especially the squirrel nutcracker. Brilliant!